Highest Frequency Words in the CCSS for ELA & Literacy - Dave Stuart Jr. I did delete the most frequent word — standards — but, otherwise, word size is based on frequency. 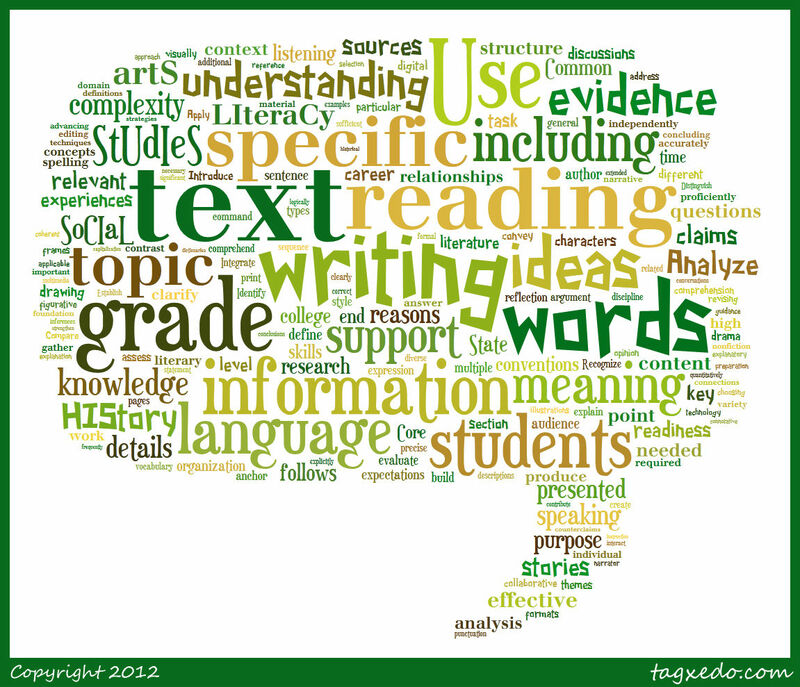 The more a word appears in the CCSS, the larger it appears in the word cloud. Hi Dave, I really admire the ingenuity of how this graphic represents the academic language of the CCSS. I’m a teacher in Portland, OR, and I would love to share this graphic with my staff -if that’s OK with you. Could I share this graphic with my staff? If so, I will post it on a district-wide-teaching site for our educators. Josh, have at it! I’d love if you could share the resource with as many folks as will benefit. Eugenian here! I, too, would like to use your graphic in an ISTE 2014 presentation. I would be certain to credit you as author. May I use?